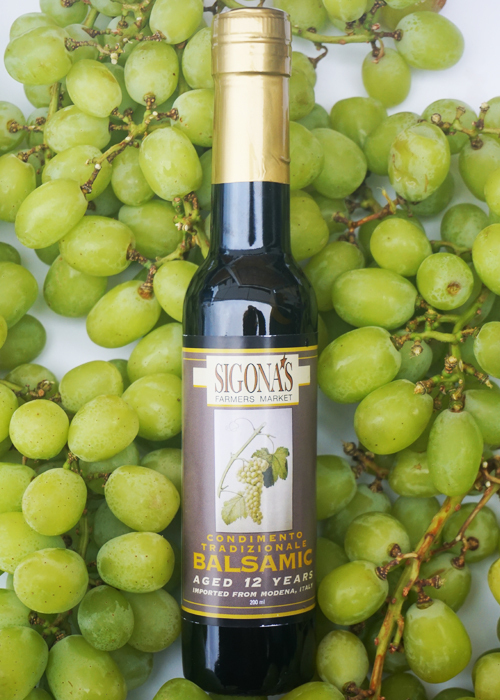 Sigona’s 12-Year Aged Traditional Balsamic is produced and aged according to standards of the traditional methods. Our balsamic comes from the cooked grape must of the Trebbiano grape grown around the hills of Modena, Italy. It has been aged for 12 years in a series of wooden barrels. The result is a rich, dark-brown liquid that has a sweet, multi-layered taste and a syrup-like consistency.